The Panasonic Lumix GH5S is a specialist tool that isn't going to appeal to everyone, but stills photographers and especially looking videographers looking for the ultimate low-light camera will find a lot to like. Where the GH5 was (and still is) a hybrid camera that excelled at both stills and video, the new GH5S, despite looking identical, is very much geared towards the filmmaker. That isn't to say that photographers should instantly look elsewhere - if you predominantly shoot in very low light, or only publish on social media/make small prints, the GH5S still has a lot to offer, especially as it produces images with excellent dynamic range thanks to 14-bit Raw, and also low noise at high sensitivities, the best of any Micro Four Thirds camera that we've reviewed before. But video is the GH5S' main attraction, and more specifically video produced using a gimbal or other support, due to the removal of the built-in image stabilisation system. While we can certainly understand the logic behind this design decision, it's certainly going to put off a lot of would-be purchasers who've previously enjoyed the many benefits that in-camera IBIS offers, for both video and stills alike. If IBIS isn't a deal-breaker, then the many improvements that the GH5S offers for video compared to the GH5 are well worth the slight hike in the asking price, especially as V-Log is now included in-camera, rather than being another expense as with the GH5. 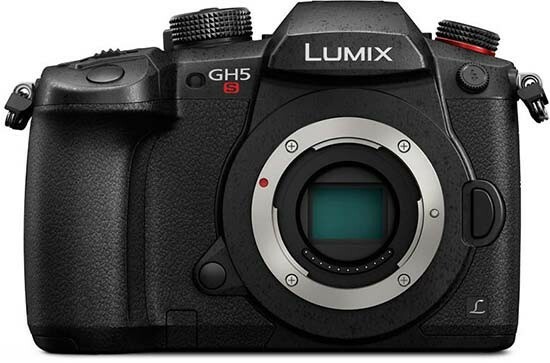 In summary, the Lumix GH5S rounds out Panasonic's flagship camera line-up, joining the stills-focused G9 and hybrid GH5, with all three being excellent cameras that do what they do very well.